As much as I love ice cream (which is a lot), there is nothing more refreshing to me during the hot summer months than a water ice or a fruit sorbet. I usually tend to choose the more exotic flavors but if nothing else is appealing, strawberry is my go-to choice. I love pretty much all fruit equally, not a week goes by when strawberries are in season that I don’t have them with breakfast every day. 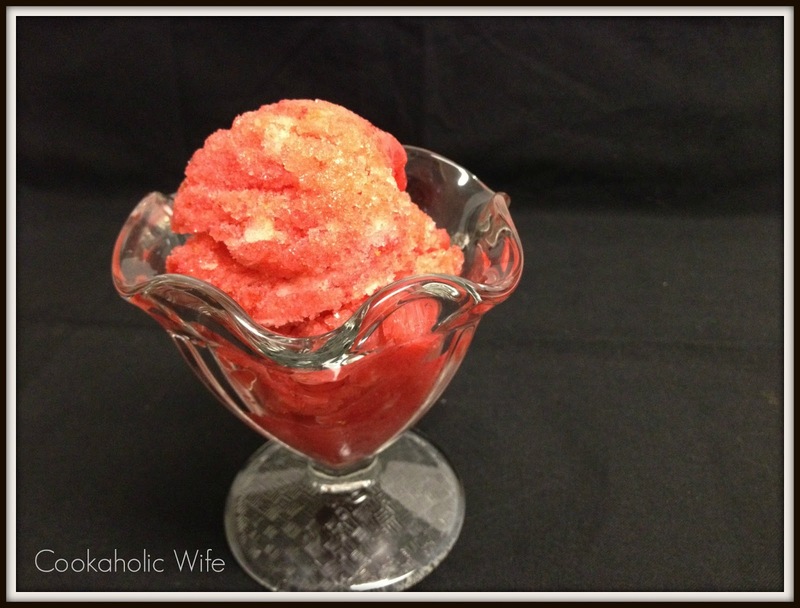 So it seemed only fitting that I finally make one of my favorite flavors of sorbet. 1. Add sugar and water to a medium saucepan heat over medium heat, stirring until the sugar is fully dissolved. 2. Remove from the heat and set aside to let cool. 3. Once cooled, add to a blender along with the strawberries. Puree until smooth. Refrigerate for at least 2 hours until chilled. 4. Transfer to an ice cream maker and partially freeze according to instructions. Stir in the egg white and then continue to freeze until firm. Yum! This was pure strawberry goodness. I think before strawberries go out of season I’ll freeze some so I can make this in the winter. This is on my list to make with all the berries I picked over the weekend – thank you!